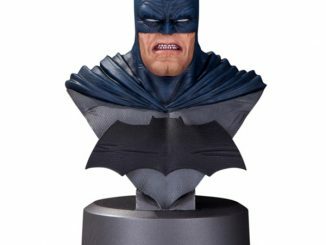 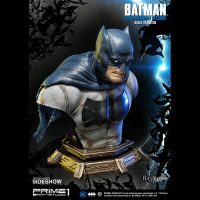 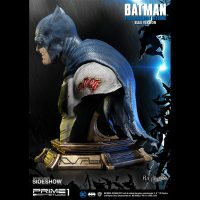 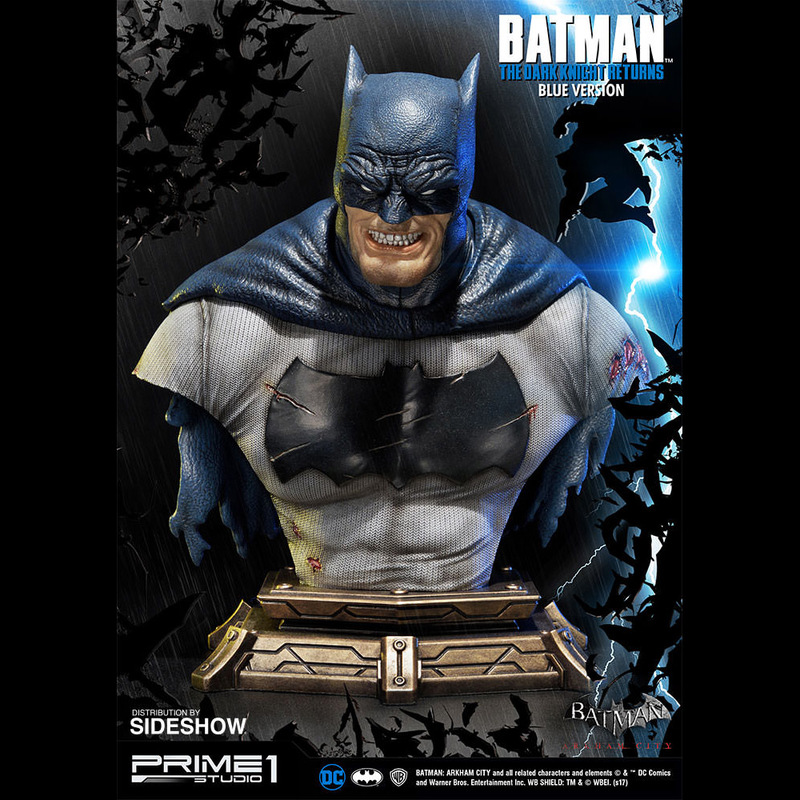 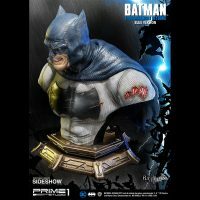 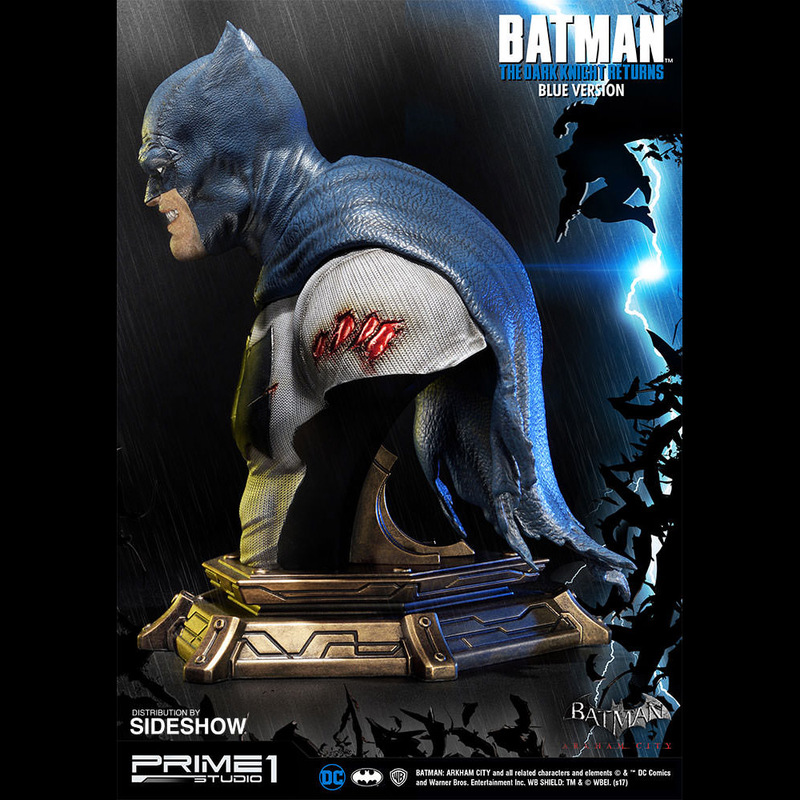 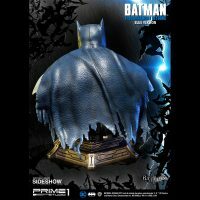 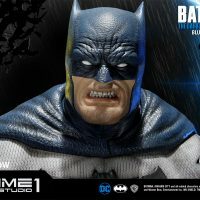 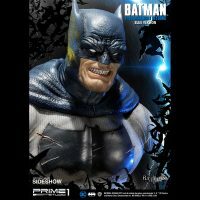 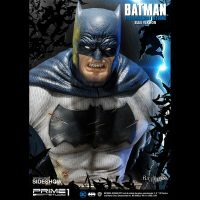 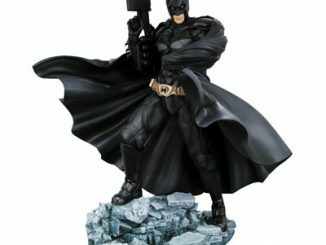 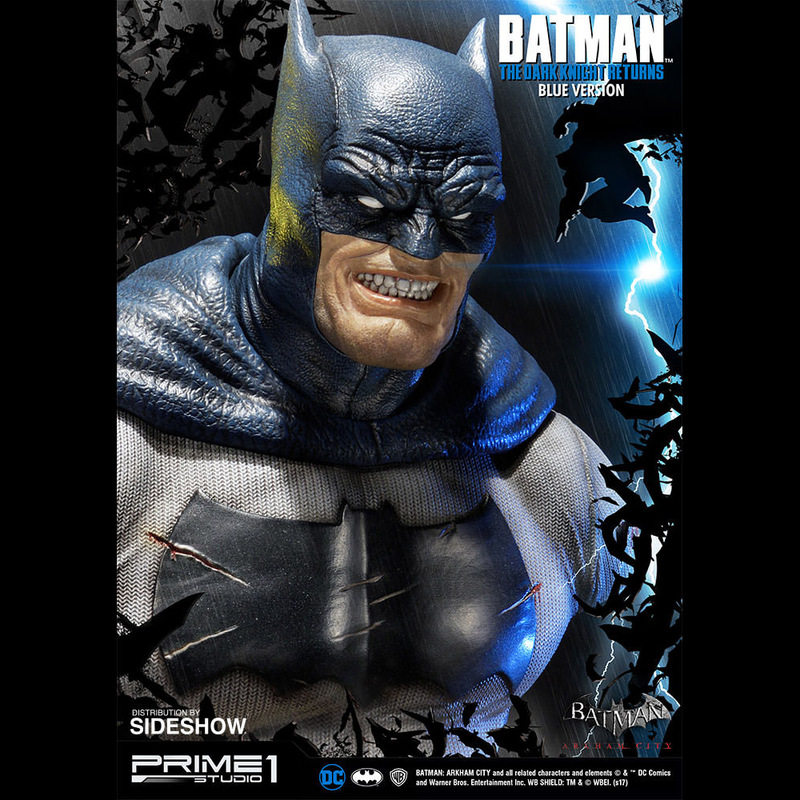 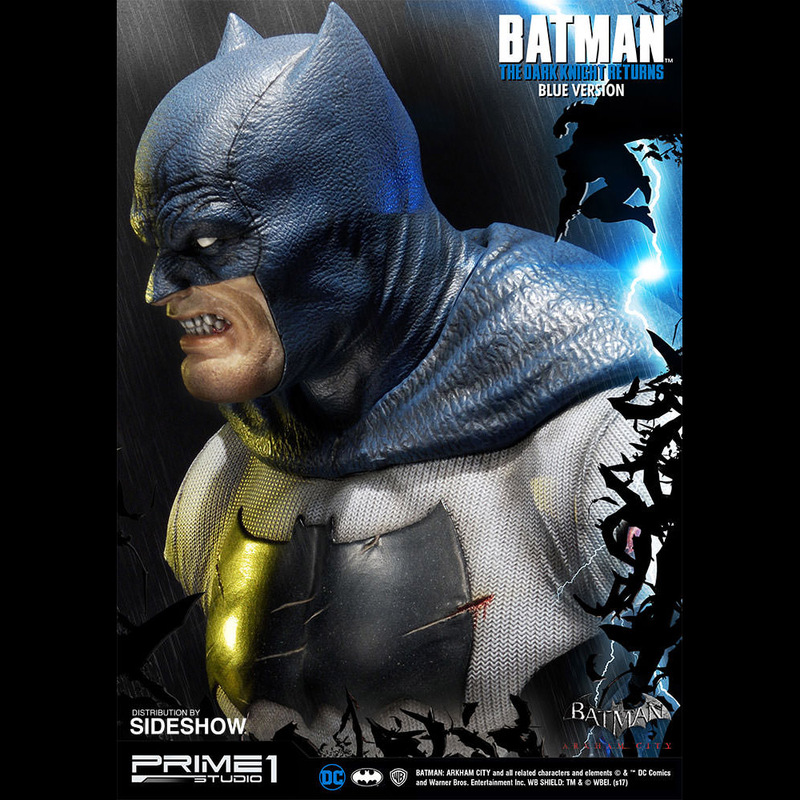 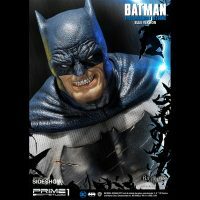 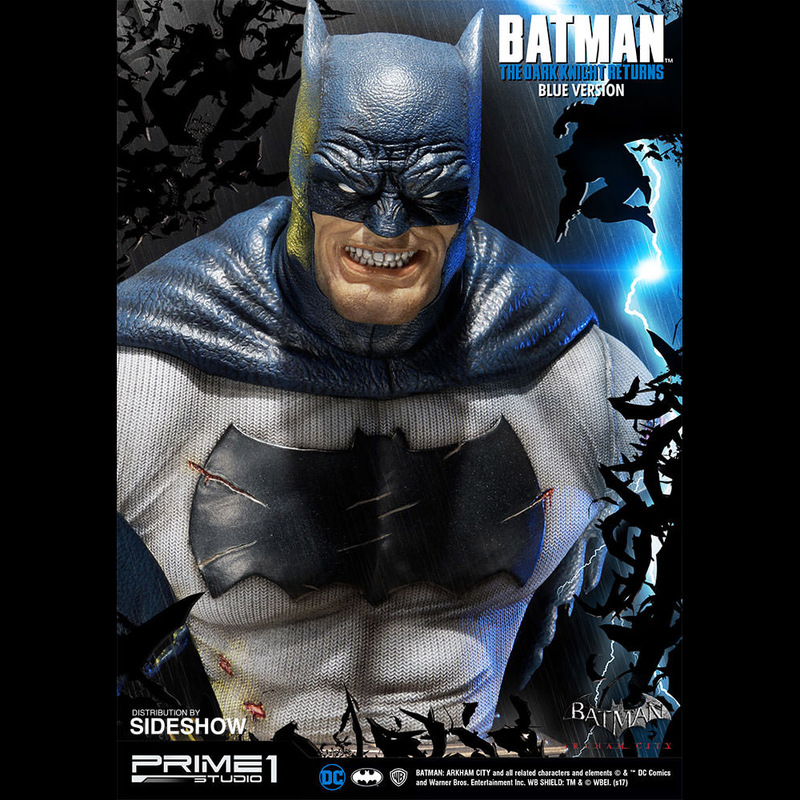 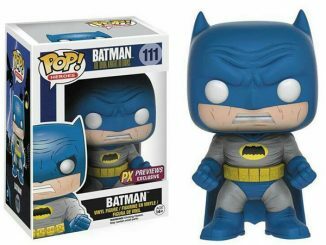 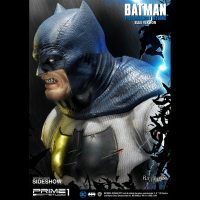 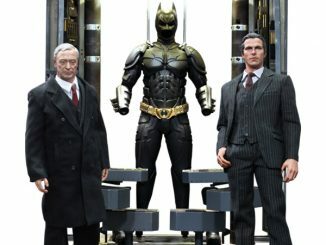 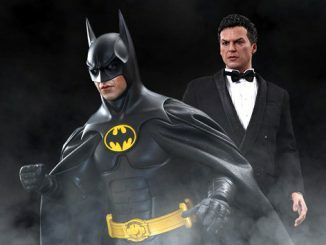 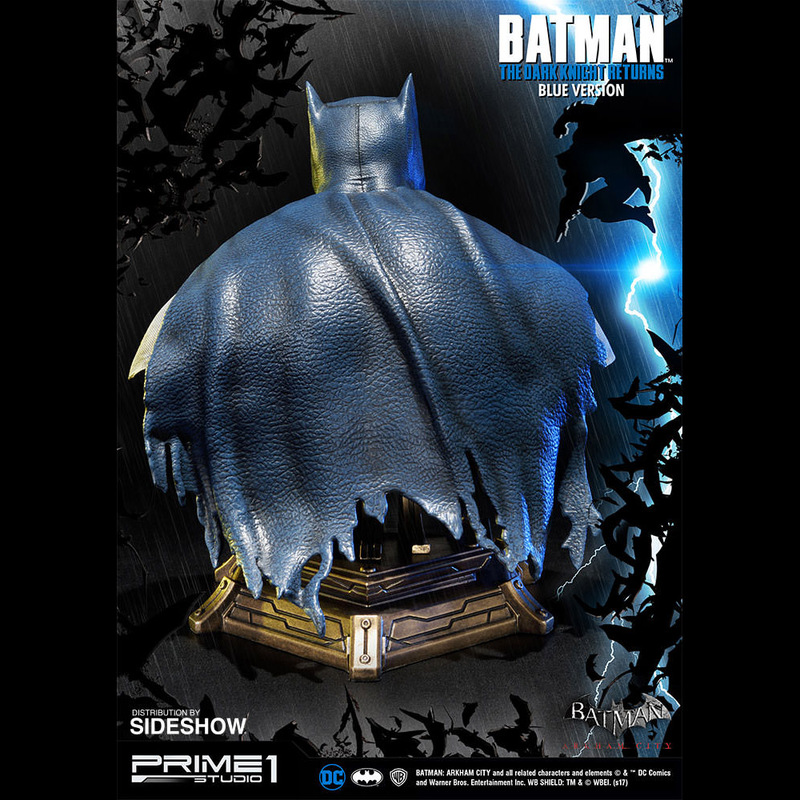 Bruce Wayne takes up the mantle of the Bat once again with the Batman The Dark Knight Returns Blue Version Bust, giving the bad guys of Gotham City a new reason to fear the night. 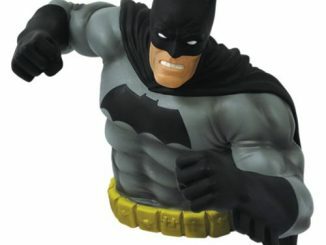 Frank Miller’s The Dark Knight Returns rocketed through the comic book world like a storm, introducing the world to a considerably older Bruce Wayne who comes out of retirement to become a considerably more violent Dark Knight. 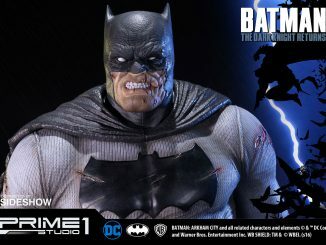 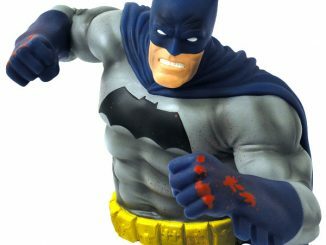 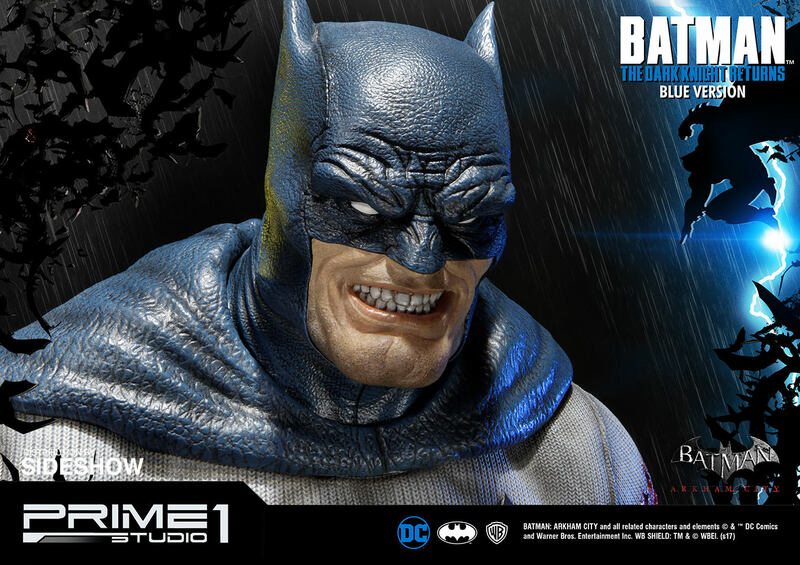 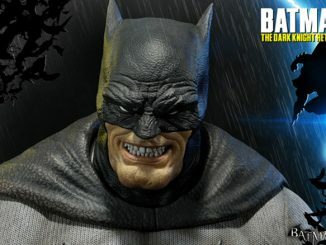 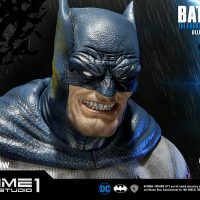 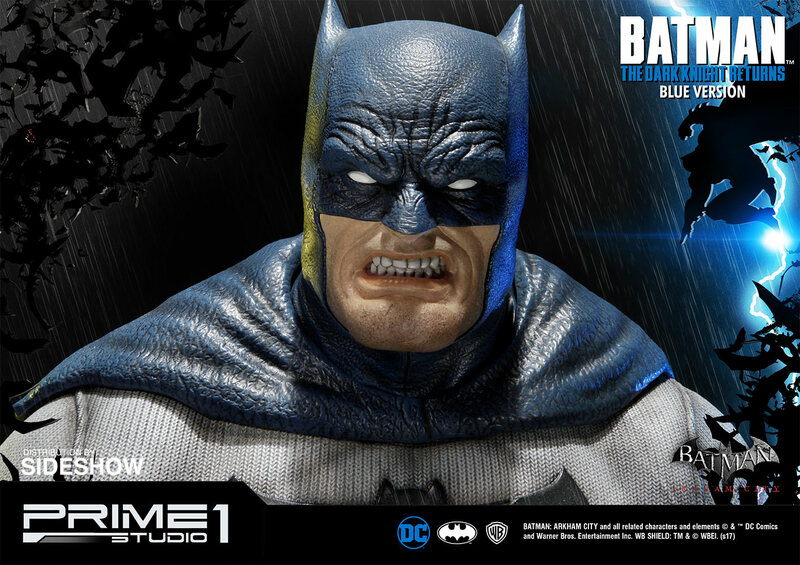 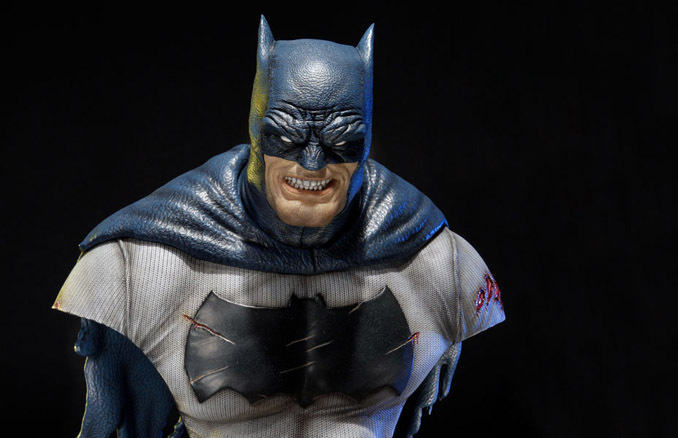 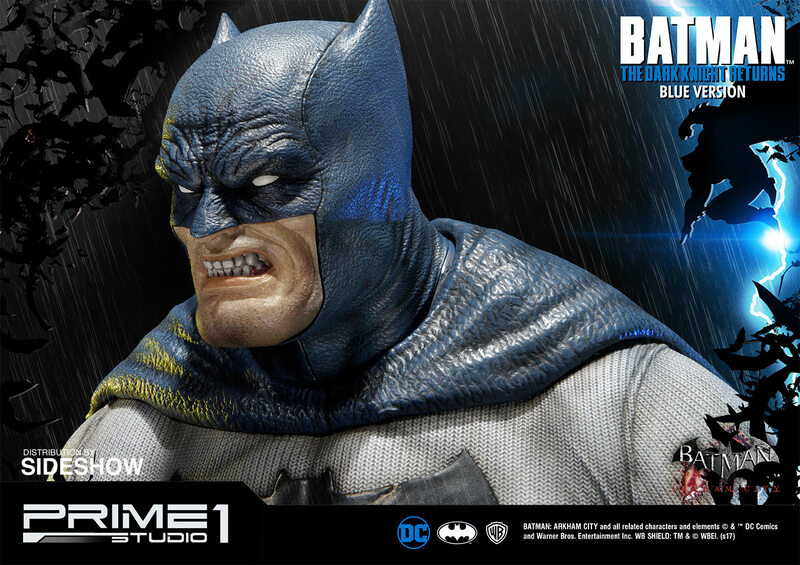 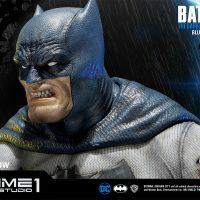 Standing almost 11-inches-tall, this highly-detailed, exclusive bust features Batman in his blue and gray outfit, battered and bloody but still ready to fight. 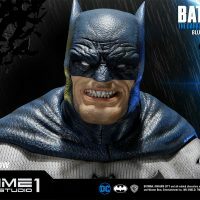 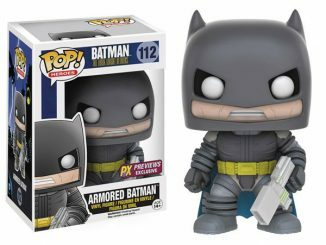 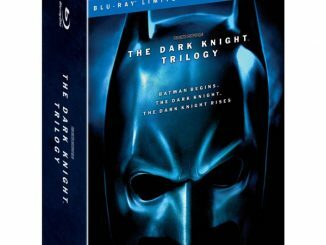 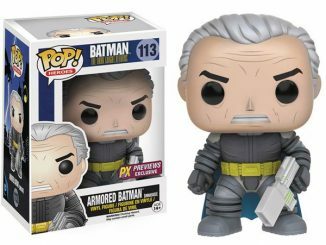 It features an alternate portrait with Batman almost smiling… which is probably one of the scariest things I’ve ever seen because he seems to be happy because he’s thinking about all the pain he’s about to put you in.